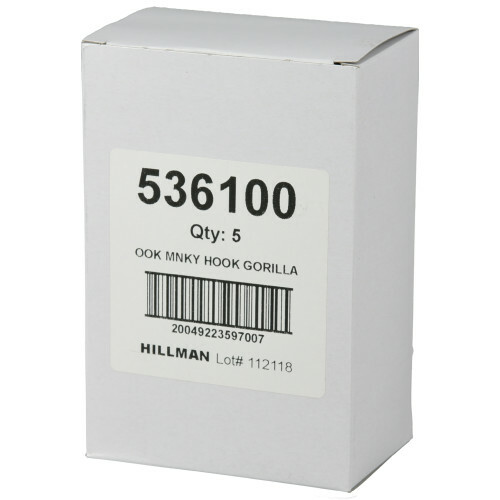 OOK Monkey Hooks are a great way to hang your mirrors and pictures efficiently and securely. 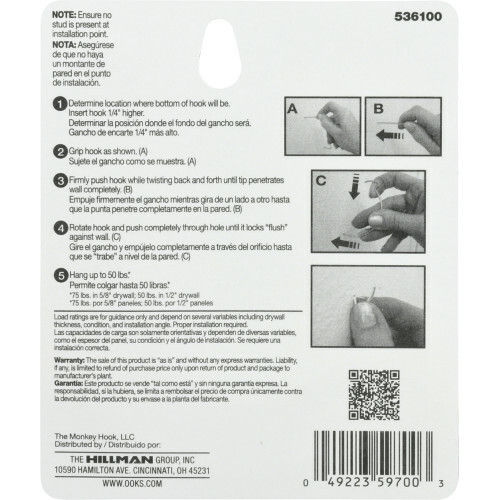 Standard Monkey Hooks hold up to 35lbs in drywall. 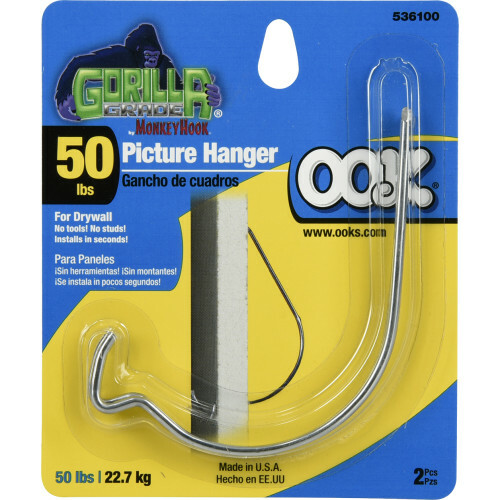 OOK Gorilla Hooks are designed for heavy duty hanging. These picture mirror hangers will hang up to 50lbs. 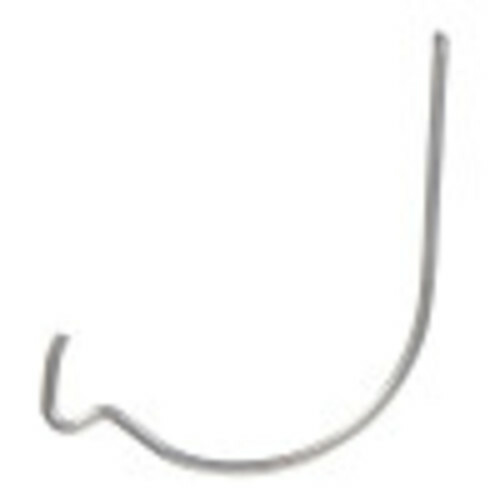 Simply use hook to puncture wall, twist down so hook is facing out, and push hook into wall. Hang pictures and mirrors in seconds. No pilot hole necessary.